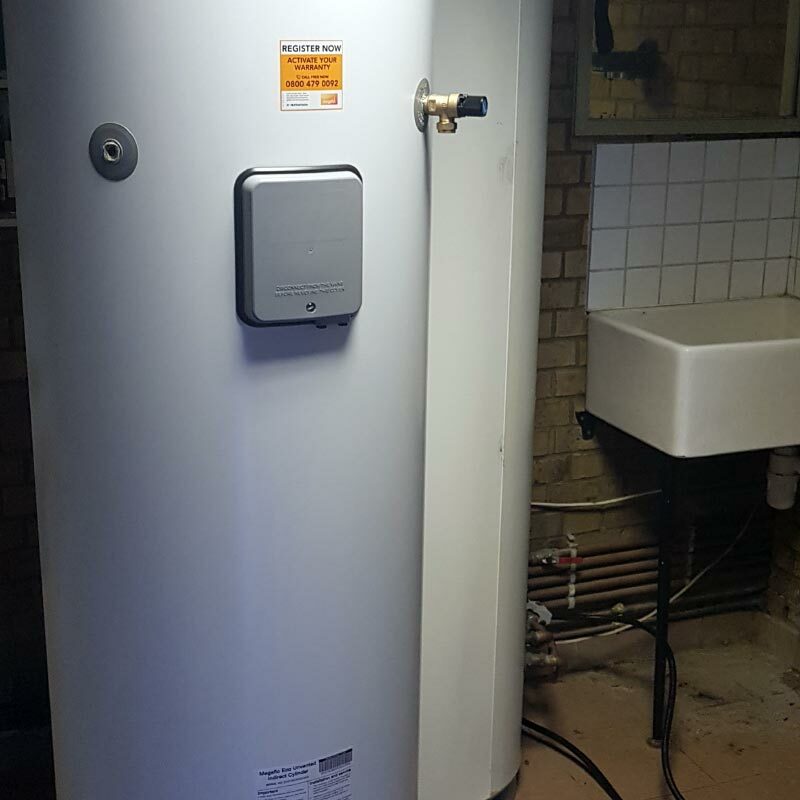 Your water cylinder is one of the most important factors in your heating system because it stores water directly from your mains water supply and allows you to have instant hot water when you need it for showering, washing and bathing. Unvented cylinders are popular with the current trend for environmentally friendly solar powered systems. Should you need unvented cylinders in your home, we have the experience and the knowledge to realise how much power, flow rate and pressure they need to function properly – and most importantly, to work efficiently. We are a reputable company who can supply the most suitable water cylinder for your home and your water usage and we always install unvented cylinders to a very high standard. Because we have set ourselves very high standards in terms of quality of service, the products we supply and install are excellent quality and teamed with our expert knowledge, we can ensure that our team fit your cylinder and leave you with the safest installation possible in the UK. We use only the best unvented systems that have been designed by unvented cylinder professionals. Once installation has taken place, we will ensure that your property is clean and tidy once we leave. Contact us using the contact form to find out more, or if you wish to talk to us directly please call on 01708 379527 or 07860 573666.